Beautiful intermediate instrument with accessories package. The Le Bravo 200 Saxophone from P.Mauriat combines warm, resonant red brass with the powerful, solid nickel-silver Super VI neck to create a thick sound that has serious punch. 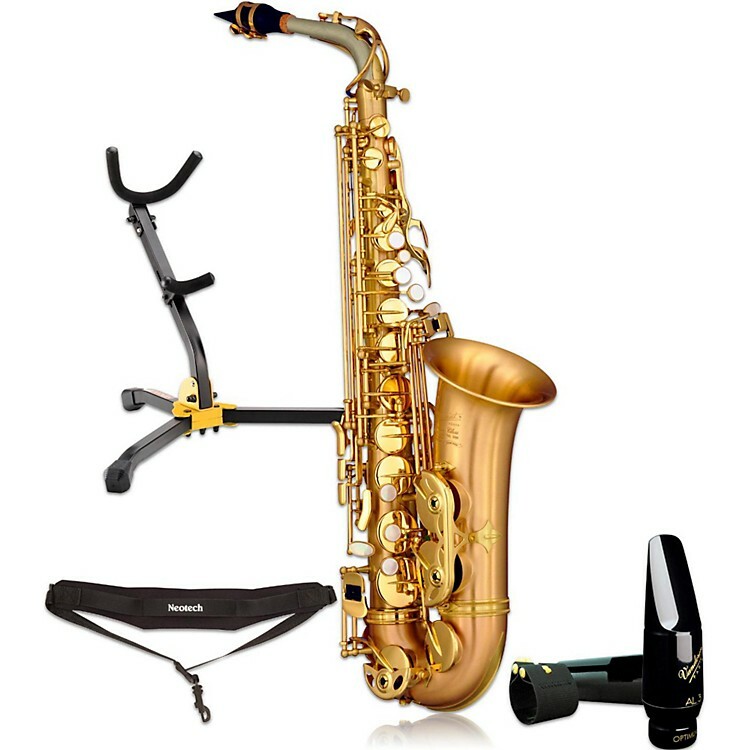 The Le Bravo is a beautifully crafted instrument that will make any serious saxophonist happy to play it. Comes with a smartly selected accessories package, resulting in an astounding overall value. Order today and move into the instrument that will carry you through your studies.